The opening of the World Expo heralds Shanghai’s coming of age, the rising economic might of China, and the financial power of Asia’s legendary metropolis. But that’s only part of the story. The World Expo also reflects the rise of Shanghai as a global city and the intensity of competition among emerging Chinese mega-cities. At the eve of the World Expo, Shanghai was buzzing with anticipation and excitement. Presented by 192 countries and 50 international organizations, the World Expo will continue for six months. 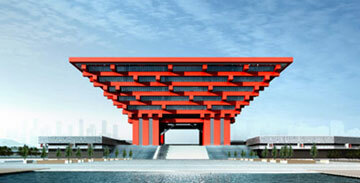 It will also be the largest world exhibition ever and is expected to attract 70 million visitors from home and abroad. With a population of over 20 million people, Shanghai is a hugely popular tourist destination renowned for its historical landmarks such as the Bund with its historical buildings lining the Huangpu River. 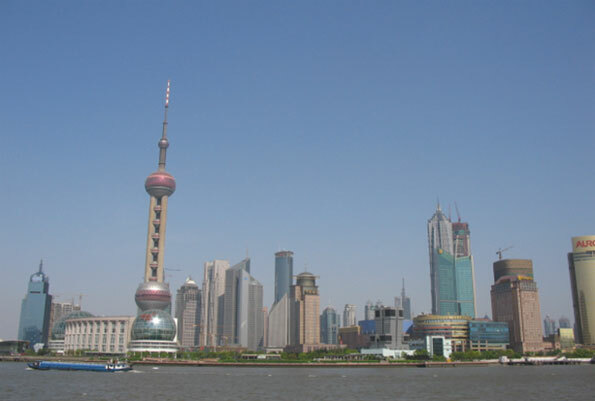 In turn, Shanghai’s increasing financial power and China’s rapid economic development is reflected by the ultra-modern and ever-expanding Pudong skyline, with the Oriental Pearl Tower, the Jin Mao, and the 492-meter (1,614 ft) World Financial Center. For foreign sinologists, the World Expo heralds not only the resurgence of the great metropolis, but the “comeback of the city’s brash patrons.” In reality, Shanghai’s comeback started in the early 1990s, and today the resurgence of the colossal city may still be in its infancy. The main structure of the China Pavilion, "The Crown of the East," has a distinctive roof, made of traditional dougong or brackets, which date back more than 2,000 years. 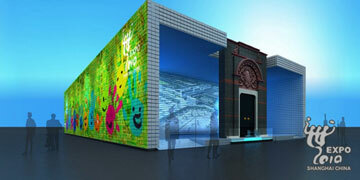 Taking the form of Shikumen, Shanghai Pavilion seeks to blend history and modernism, the East and the West. In 2005, the wealthiest metropolises, as measured by their estimated GDP, were still led by the great urban centers of the leading advanced economies. By 2020 a third of these wealthy cities will be in the large emerging economies. Shanghai‘s strategic position at the mouth of the Yangtze River has made it an ideal location to assume a position in the urban paragon. In fact, Shanghai and the Yangtze River Delta already constitute one of the largest concentrations of adjacent metropolitan areas in the world. It is the home to some 80-90 million people with GDP (PPP) of some US$2 trillion, or about the economic size of France. However, unlike France, which is growing at the rate of 1-2 percent in 2010-2011, Shanghai enjoyed a double-digit growth in 1992-1997 and continues to grow at about 8-9 percent per year. Originally a fishing and textiles town, Shanghai grew to importance in the 19th century. The rapid development of the city began in the aftermath of the Opium War of 1840 when the Western powers forced China to open five of its coastal cities, including Shanghai, to foreign trade. The colonial powers forced the weak Qing government to sign treaties granting them the right to establish foreign concessions. In Shanghai, the part of the city proper west of the Huangpu River grew ever larger in size, whereas Pudong on the east side of the river was left untouched. Back in 1918, founder of the Republic of China, Dr. Sun Yat-sen put forward the idea of building a major harbor in East China with Pudong as its base. By the 1920s and the early 1930s, Shanghai was a major center of international trade and finance in the East Asian region. In the late 1930s and 1940s, Shanghai was engulfed by one calamity after another. First it was battered by the currency crisis in 1935, the Sino-Japanese War starting in 1937, the onset of the Pacific War in late 1941 and, in the aftermath of World War II, the Civil War (1945-1949). After the declaration of the People’s Republic of China in 1949, most foreign firms moved their offices to Hong Kong, as part of an exodus of foreign investment. As Shanghai fell into a historical oblivion, Hong Kong thrived. The “Pearl of the Orient” lost its position as East Asia’s main financial center. During the 1950s and 1960s, Shanghai was transformed into an industrial center. It paid a crippling price in terms of taxes; until 1990, one-sixth of the central government’s revenue came from Shanghai. After China embarked on its open-door policy in the early 1980s, things began to change. After decades of neglect,there rose a resurgence of trade and investment. The great transformation came in the early 1990s, when Deng Xiaoping declared that Shanghai would be "the head of the dragon" pulling the country into the future. The development of Pudong helped to restore Shanghai’s historical role for the Yangtze River Delta and, more broadly, to China. In a whirlwind of two decades, Shanghai increased its role in finance, banking, and as a major destination for corporate headquarters. It became a major lure to the highly educated portion of China’s workforce. Since the early 2000s, Shanghai and Hong Kong have increasingly been seen as rivals for the economic center of the Greater China region. Hong Kong has the advantage of a less opaque legal system, international market integration, broader economic freedom, greater banking and service expertise, lower taxes, and a fully-convertible currency. Shanghai has stronger links to both the Chinese interior and the central government, and an impressive base in manufacturing and technology. Since the late 1990s, Shanghai has been booming and thriving, while Hong Kong, despite its historical wealth and capabilities, has been haunted by anxiety and doubt over the future. Yet Hong Kong remains one of the world’s great financial centers. According to Financial Development 2009 by the World Economic Forum (WEF), Hong Kong ranks 5th worldwide in terms of financial sector development. Along with Tokyo and Singapore, it stands as one of the premier financial centers in Asia. With the recent global financial crisis, Asian cities are closing in on London and New York as leading financial centers. Although still behind Hong Kong, Shanghai has been catching up. The financial strength of Hong Kong has been boosted by decades of globalization. The rise of Singapore as a financial center has been also driven by determined government policies and multinational investment. Shanghai’s emergence as a future financial hub has been shaped by similar forces: years of financial reforms and multinational investment and more recently, a strong support by the central government. In early 2009, China’s State Council approved Shanghai's plans to position itself into one of the world's leading financial and shipping centers by 2020. A month later, five major trading cities – including Shanghai – got the nod from the central government to use the yuan in overseas trade settlement, which reflects China’s recent, gradualist moves to expand the use of its currency globally. In the long term, China will play a major role in the emerging global financial architecture. What is less certain is how this emergence will shape the roles of Shanghai and Hong Kong. Already Shanghai’s stock market is worth more than Hong Kong’s, but the city’s financial sector lacks Hong Kong’s depth and the breadth. Hong Kong has an active financial futures market, whereas Shanghai trades commodities futures. In fixed income markets, Hong Kong is far more active in global bonds than Shanghai, which is far more active in domestic currency trading. A big barrier: the Hong Kong dollar can be traded freely in international markets, whereas China’s RMB is not fully convertible. But over time this barrier will dissolve. Hong Kong’s regulatory system is considered independent and transparent, whereas Shanghai’s whereas Shanghai’s regulator is part of the government’s state council. In addition to the regulatory regime, there are substantial systemic differences with legal system and taxation. In the future, some observers expect China to have a single dominant financial center. Others believe that, due to China’s massive size, multiple centers are conceivable. In the third scenario the assumption is that, in the medium-term, Shanghai and Hong Kong will co-exist as complementary centers. 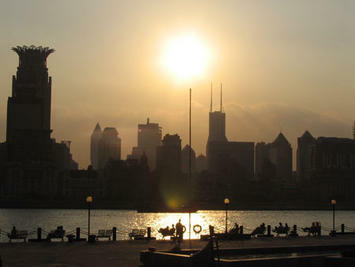 But in the long-term, Shanghai will become China’s international financial center. As can be seen in other parts of the world, there is increased competition among China’s cities. But since the number and scale of Chinese cities is far higher relative to their counterparts in advanced economies, the implications of Chinese urban rivalry are broader and global. Having suffered relative decline since the establishment of the People’s Republic of China, Shanghai’s population base increased faster relative to other cities only briefly during the massive infrastructure projects of the 1990s. Economically, Shanghai is still growing, but doing so more slowly relative to other Chinese first-tier cities such as Beijing, Shanghai, Guangzhou, Shenzhen, and in particular the emerging second-tier cities such as Chengdu, Dalian, and Shenyang. In the footprints follow the third-tier cities from Harbin to Ningbo and the fourth-tier cities from Kunming to Hefei. The criteria for these tiers comprise GDP per capita adjusted to purchasing power parity, level of economic development, property markets, foreign direct investment, distance to ports, and so on. As productivity levels are increasing in the more prosperous cities, the old low-margin industries are migrating to poorer regions. The process of migration predates the global crisis, but the latter has amplified it. Today, Shanghai’s growth model is predicated increasingly on innovation and high-value industries. Yet despite the rise of second and third tier cities, the true competition for global financial preeminence in China will boil down to a contest between Shanghai and Hong Kong. However, it may not result in a win-lose scenario. As Shanghai is evolving into China’s global financial hub, Hong Kong’s efforts to accelerate IPOs and regional innovation and the proposed merger of Hong Kong and Shenzhen could support a Nasdaq-like stock exchange in the future Pearl River Delta Metropolis. Meanwhile, China is giving rise to a number of megacities, which seek for specialized competitive advantages. The central government is urging and providing incentives for the wealthiest urban centers to cooperate with other cities in order to accelerate urban growth regionally. Shanghai is no exception; emulating the lessons of the Pearl River Delta, it is boosting the regional innovation system in its Yangtze River Delta. Shanghai’s advantage lies in its size and industrial diversity, the competitiveness of several manufacturing subsectors, and the emergence of business services. 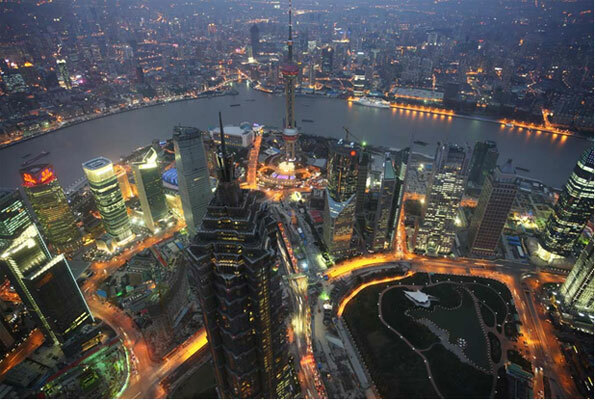 At the same time, Shanghai’s expanding technological capabilities are being nurtured by a deepening pool of human capital, increasing R&D, FDI in high-tech activities, and the openness of the city to the rest of the world. The dynamic megapolis is driven by a growing middle class, which is feeding a nascent demand for innovation. With its advanced services, large population base, and China’s largest retail sales, Shanghai is well-positioned to emerge as China’s premier business city. Just as New York City exemplified the strengths and aspirations of emerging America in the 20th century, Shanghai, perhaps more than any old or emerging rival, will personify the capabilities and dreams of rising Asia in the 21st century. Dr. Dan Steinbock is research director of international business at the India, China and America Institute (USA). He currently also serves as senior fellow at the Shanghai Institute for International Studies (SIIS), and visiting professor at the Shanghai Foreign Trade Institute. He focuses on the post-crisis integration of G-7 and BRIC economies worldwide and advises companies, governments and municipalities on issues of competitiveness and innovation. He divides his time between New York City, Shanghai and Guangzhou, and occasionally Helsinki, Finland. Submitted by uofix on Sun, 09/14/2014 - 09:07. Submitted by towxa1122 on Thu, 08/28/2014 - 01:03.